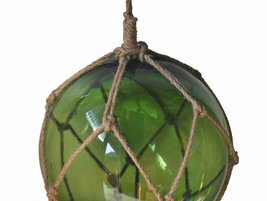 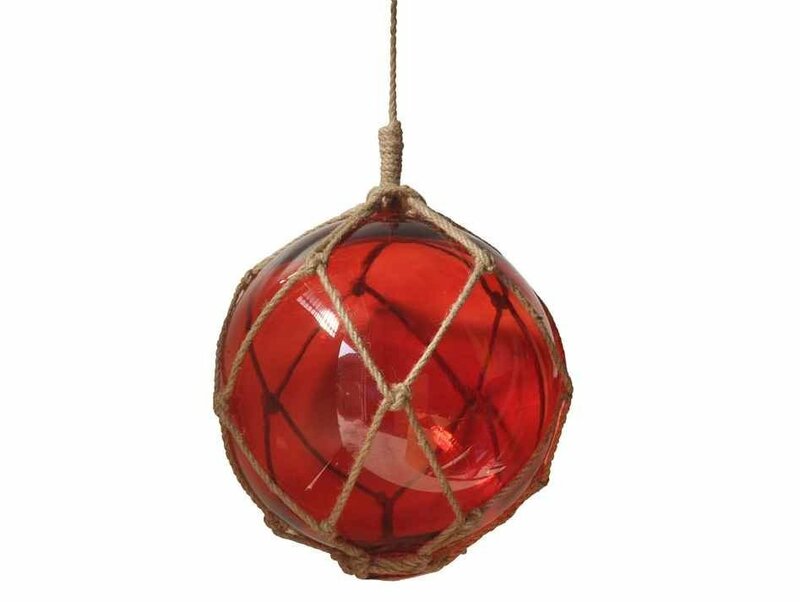 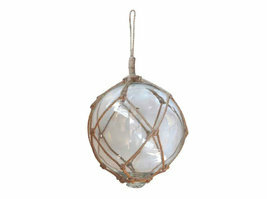 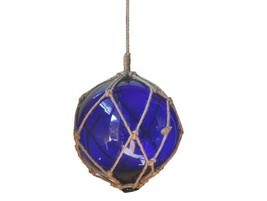 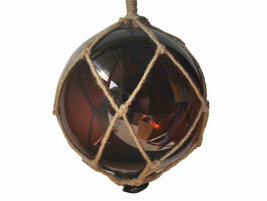 Our Japanese Glass Ball Fishing Floats measures 10" diameter. Available in clear, dark blue, light blue, green, amber, red, clear so you can mix and match to create your own perfect beach wall art decoration. 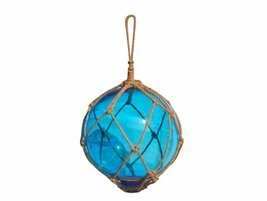 Use our fishing net to complete the look. Measures: 10" L x 10" W x 14" H NOTE: For decoration only, this is not an authentic buoy/float. Wall mounting hardware not included. These are reproduction floats.